IKEA’s Midwest distribution center in Joliet now boasts the largest solar rooftop in the state. 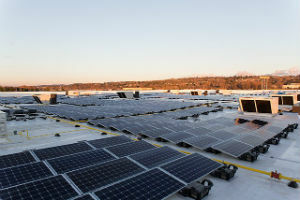 The two IKEA stores in Bolingbrook and Schaumburg also have solar rooftops, making IKEA the owner of the three largest solar rooftop in Illinois. The Joliet rooftop will produce approximately 3,377,000 kWh of electricity yearly, which is the equivalent of reducing the emissions of 538 cars or providing electricity for 377 homes. Solar rooftops absorb the sunlight as a source of energy to generate electricity and/or heat. The Joliet distribution center is favorable for IKEA’s network due to its central location and nearby railroads. IKEA is already planning to build another facility nearby, which could be a big job creator for Illinois. IKEA is working toward moving to clean energy in all aspects. The company has earmarked $2.5 billion to invest in renewable energy until 2020, when the company also hopes to be energy independent – IKEA wants to produce as much clean energy as it uses in its buildings. IKEA has constructed 700,000 solar panels on buildings across the world and has over 300 wind turbines. 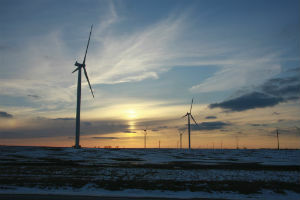 One-third of the approximately 300 wind turbines are located here in the United States, and 49 are in Hoopeston, Illinois. For more information about IKEA, click here. 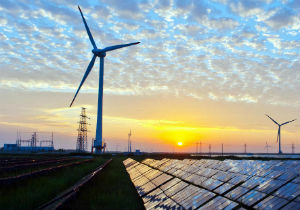 The Future Energy Jobs Act aims to turn 25 percent of Illinois’ power green by 2025, and already some residents and businesses are utilizing provisions of the bill to switch to more renewable energy sources. In one Tazewell County township, plans are in the works for as many as 400 households to utilize renewable energy, according to the Peoria Journal Star. Fondulac County could be the site of the first community solar project as early as 2019, pending zoning board approval. County administrators credited the Future Energy Jobs Act for making the investment in clean energy possible. These advancements are made possible by the act’s wide range of tax credit incentives for businesses big and small, along with individuals wishing to switch to residential renewable power production or energy efficiency. The age of “peak TV” in the entertainment industry is good news for film crew jobs in Illinois, according to the Illinois Film Office. The Illinois Film Office estimates $599 million was spent in 2016 on films, commercials and television productions in the state – a 51 percent increase over the year before. That included 345 television, commercial and film projects for the year. The boom in filming has brought a flow of steady employment, particularly behind the camera. These jobs include positions for the cast, crew and office staff. One year after the passage of the Future Energy Jobs Act, Illinois now leads the Midwest in new clean energy jobs. According to a report by issued by E2 and Clean Energy Trust in September, almost 120,000 people work in the clean energy industry in Illinois, up 4.8 percent from 2015, and with growth six times faster than overall job growth in the state. 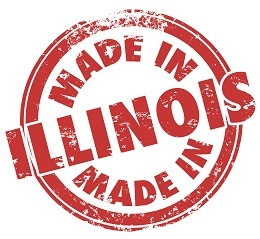 Illinois also continues to lead the Midwest in overall number of clean energy jobs, including renewable energy generation, advanced grid production and maintenance, energy efficiency, clean fuels and advanced transportation. The Future Energy Jobs Act is also good news for consumers, who will see $4 billion in reduced energy bills over the 10-year period proscribed by the law. The act includes millions of dollars to assist low-income residents, including valuable solar panel installation jobs training. For more information, see the complete report at E2’s website here.